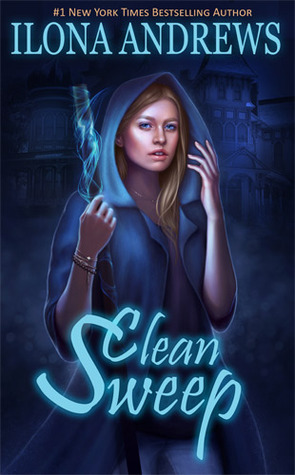 Malin’s #CBR5 Review #156: Clean Sweep by Ilona Andrews – triple Cannonball! On the outside, Dina Demille is the epitome of normal. She runs a quaint Victorian Bed and Breakfast in a small Texas town, owns a Shih Tzu named Beast, and is a perfect neighbor, whose biggest problems should be what to serve her guests for breakfast. But Dina is…different: Her broom is a deadly weapon; her Inn is magic and thinks for itself. Meant to be a lodging for otherworldly visitors, the only permanent guest is a retired Galactic aristocrat who can’t leave the grounds because she’s responsible for the deaths of millions and someone might shoot her on sight. Under the circumstances, “normal” is a bit of a stretch for Dina. And now, something with wicked claws and deepwater teeth has begun to hunt at night… Feeling responsible for her neighbors, Dina decides to get involved. Before long, she has to juggle dealing with the annoyingly attractive, ex-military, new neighbor Sean Evans – an alpha-strain werewolf – and the equally arresting cosmic vampire soldier, Arland, while trying to keep her Inn and its guests safe. But the enemy she is facing is unlike anything she’s ever encountered before. It’s smart, vicious and lethal, and putting herself between this creature and her neighbors might just cost her everything. 12-year-old Rebecca’s parents have been arguing for a while, and one day Rebecca’s mother takes the kids and her stuff and moves from Baltimore back to her mother in Atlanta, needing some space to figure things out. Rebecca is not at all happy about her parent’s separation, having to live in a new place, starting a new school and spends quite a lot of time sulking. Rummaging around in her grandmother’s attic, she finds an old breadbox, which appears to grant wishes, as long as whatever is wished for actually exists in the world and can fit into the space within the breadbox (so no unicorns or infinite wishes). Thanks to the things Rebecca manages to acquire through the breadbox (new clothes, an Ipod, money, gift cards, lots and lots of candy, among other things), she manages to make herself quite popular at school and finds her new home with her grandma a bit easier to accept. While she still resents her mother for taking them away, and misses her father terribly, she’s starting to settle in and adjust. 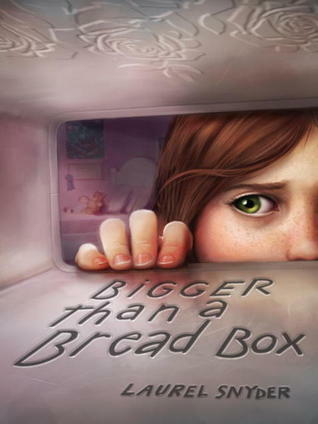 Then she discovers the truth about where the items in the breadbox come from, and things get a lot more uncomfortable and difficult. Rebecca discovers that you can’t get something for nothing, there is always a price to be paid. Having reached December with quite a few books left on my “A to Z” reading challenge, this is the book I picked for X (as Q, Z and X don’t need to be the first letter of the book, cause that would be very difficult indeed). It deals with the rather serious issues of separation and sudden upheaval well, and while Rebecca spends a lot of the book being a total brat to her mother (I, as a grownup, had a lot less patience with her clearly rather useless dad), being completely uprooted and having to settle in at a new school when just entering your teens is never going to be fun. 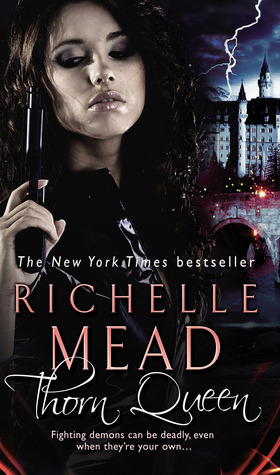 Apart from the magical breadbox, there isn’t a lot of fantasy to this book, and the lessons Rebecca gets about actions having consequences are things that a lot of middle grade books, in my experience, gloss over. 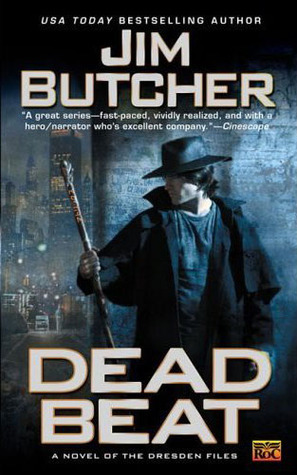 It’s nearly Halloween (Harry’s birthday) and Harry Dresden is less than thrilled to discover that his friend Police Lieutenant Karrin Murphy is going off to Hawaii with another man. He’s even less thrilled when Mavra, an extremely powerful vampire of the Black Court, who he hoped they’d managed to kill in Blood Rites, turns out not to be dead and is blackmailing him with Murphy’s involvement in the case unless he helps her. If Harry doesn’t find something called the Word of Kemmler in three days, Mavra will make sure Murphy’s career is ruined, and that she may very well face criminal charges because of aid she gave Harry on a mission against the Black Court vampires. Harry obviously can’t let that happen, and so he has no choice but to agree to the vampire’s demands. Turns out the Word of Kemmler is a book, the last writings of a very powerful and very dangerous, now dead, necromancer and whoever possesses the book will gain access to terrible powers. Harry’s not the only one looking for the Word. 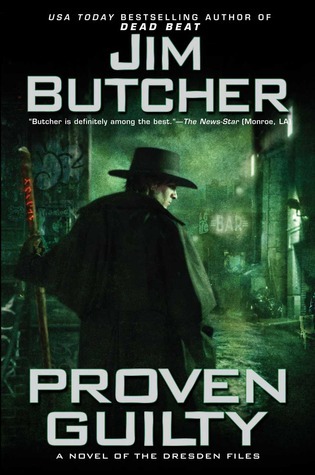 Three of Kemmler’s former apprentices are in Chicago, wanting the to be the first to find the book and become the most powerful necromancer of them all. Disclaimer! I was given an ARC of this book from Random House via NetGalley in exchange for a fair and impartial review. A Study in Silks is out now. The sequel comes out at the end of this month, and the concluding volume in the trilogy will be out in December. Evelina Cooper is the niece of Sherlock and Mycroft Holmes. Her mother ran off with a circus performer, and Evelina grew up in said circus. Her mother got sick and died, and eventually Evelina’s grandmama Holmes tracked her down, fetched her home from the circus, did her best to gentrify Evelina, and sent her to a posh boarding school. There Evelina befriended Imogen Roth, daughter of Lord Bancroft, and although he doesn’t really approve of his daughter’s boon companion, the two girls are set to start their first Season together. Evelina just has to keep secret her interest in mechanics, as that’s unladylike, and that she can do magic, as magic users are persecuted and arrested. Best case scenario after arrest is death, but they may also be sent to Her Majesty’s laboratories, where very nefarious things might happen. With me so far? Evelina is in love with Imogen’s brother Tobias, Lord Bancroft’s heir, but knows full well that he is far above her station. Also he’s a total rake. Unexpectedly, her childhood sweetheart Nick shows up in her room. He still works at the circus, and has magic abilities of his own. Magic that when he and Evelina get close to each other spark so strongly that it would be impossible for them to ever hide it. Hence they are doomed as a couple too. A servant girl is murdered, and Evelina tries to investigate, hoping that the case might be solved before scandal befalls her friend’s family. Lord Bancroft orders Tobias to seduce Evelina to keep her from investigating, but he refuses, because he genuinely likes her, and won’t ruin her reputation.